Yes, the new Hands On tapestry has left the starting gate and the ride ahead looks long and leisurely with some challenging terrain. My plan is to enjoy the journey and embrace the challenge! Wouldn't want to say how long it has taken me to get this far, but some experimentation has been part of the process. It has been raining for a couple of days here and the world outside is full of clean greens and lavender grays. Sometimes the only inspiration I need for the daily practice is to look out the window. As the lovely rain keeps coming down I have been pondering the notion of moderation. So many things in life are not about good versus bad but more about how much or how little? I have been weaving most of the day so the meditation mode is in full swing, its lovely! 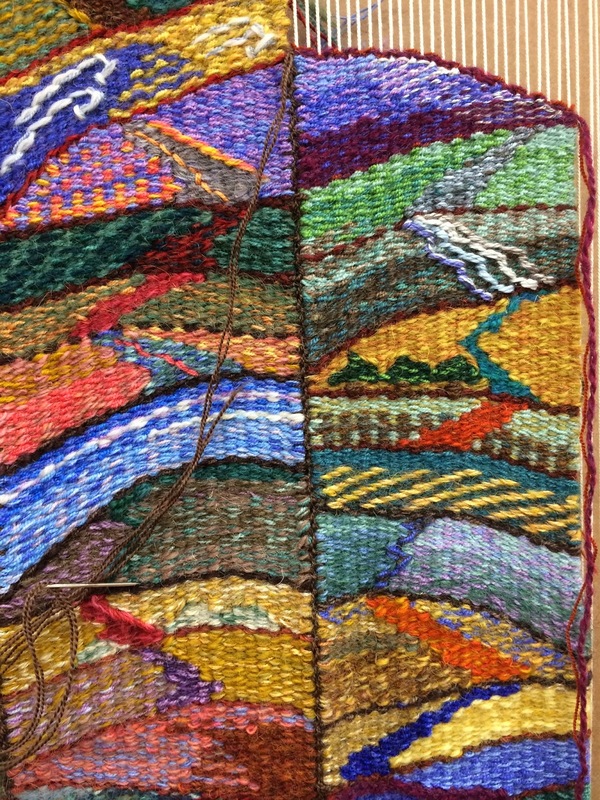 I am looking forward to watching the tapestry's progress, it looks fascinating. Thanks Debbie, I will be updating about it. Your new work looks very exciting. Do you feel any influence from SBS? I think I am always influenced by drawing, it is one of my favorite things! I'm not sure but I may have had this cartoon drawn before SBS, still all the practice and the stimulation of the group posts has to be a positive influence. I have picked up so many good ideas and enjoyed being part of the SBS community so much. 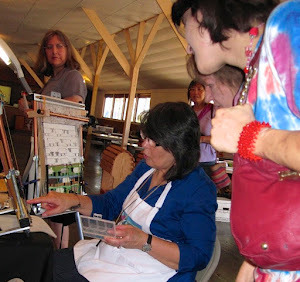 There may be more influence in future since I often use my sketches as ideas for starting a tapestry. How about a Tommy Kane portrait? Quisiera saber si tu diseño lo ponen abajo del telar para guiarte me refiero al dibujo. Bellisimo quisiera saber como se hacer aunque yo seé telar. I'm already in love with it! I would love to see the progress of your Hands tapestry. Any updates? 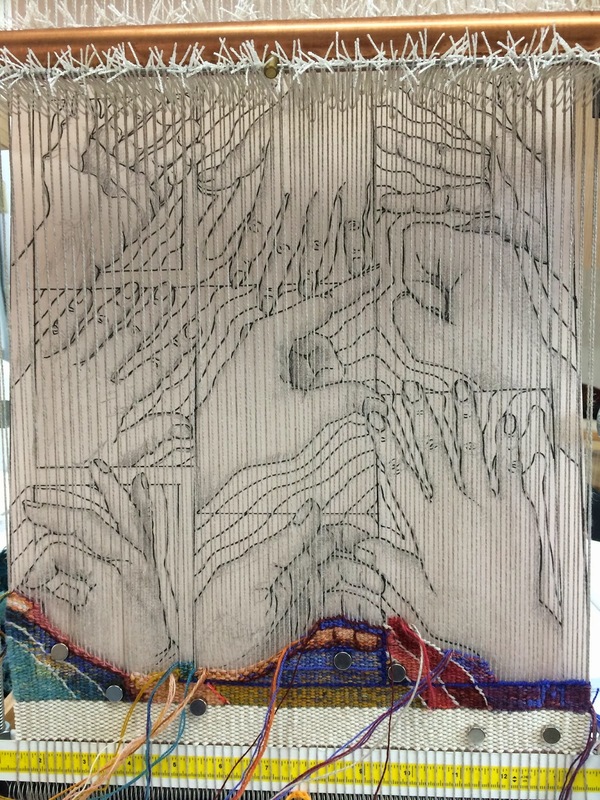 Hello I'm just starting to weave and my question is how did you get the hands picture on to weave?